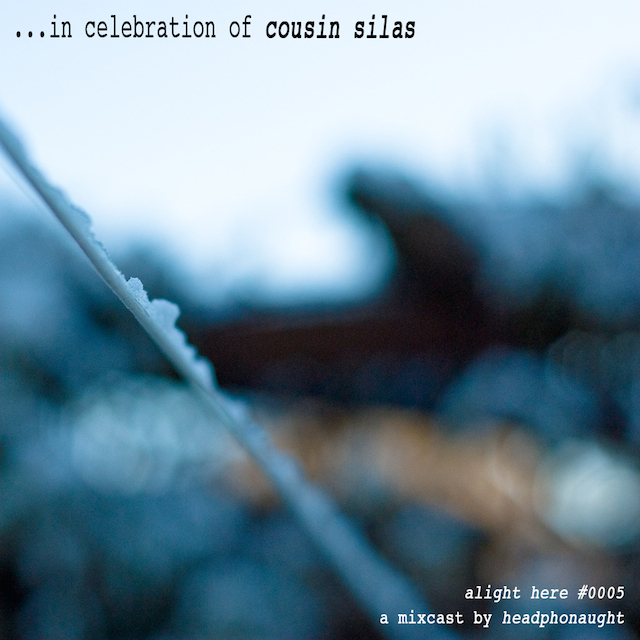 To celebrate the release of Cousin Silas' latest album :: Complex Silence vol.9 - Fresh Landscapes :: I have dedicated the whole of an extended alight here #0005 to his wonderful ambient electronic soundscapes. 2) Bring together my most favourite tracks into one continuous mix. But... to up the coolness... when I ran this idea passed Cousin Silas, he offered me some previously unreleased tracks to include within the mix... which is beyond-belief awesome. 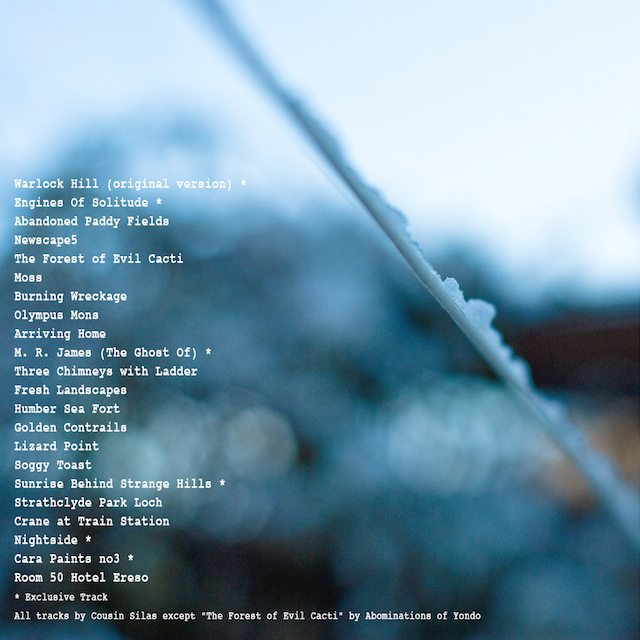 So what you'll hear (and hopefully keep returning to) is a continuous mix of unreleased tracks and my fave soundscapes. I really hope you like it. Please download it and tell your friends. The more people who know about Cousin Silas the better, in my book. Am listening to it at the moment. Thanks for the work to compile. You are certainly doing a lot to help your mates!